Amazing! Such a great experience. Went with my daughter. pretty pricey but a good show!! Spell binding performances, we loved this show. 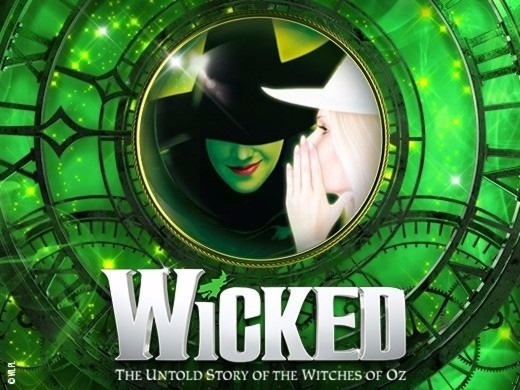 Cleverly weaving new stories into a much-loved classic tale, Wicked tells the backstory behind the characters of Oz. Loved it. We have waited so long to see this show and it did not disappoint! From the start to the finish it gripped you and drew you in. Loved everything about it especially the acting and the fantastic singing. I went with my 14 year old son who was as mesmerised and as enthused as I was. Loved the way it tied into TWOO, it gave everything a new and interesting perspective Brilliant, absolutely brilliant. My 7 year old grandson and I really enjoyed Wicked. The singing was beautiful and we loved the sets and costumes. My grandson didn't think he would like it and was really surprised that he did. My wife and I brought the kids, thinking it would be really a show for them. But we loved it too. Can't recommend it enough!!!! Brilliant show! Only negative theatre very hot! I’ve got shivers !! The cast was amazing!